Facilities Office Manager (Soft Services) required for our client based in Central London. The Facilities Office Manager (Soft Services) role is an opportunity for an established professional to come in to a world renowned brand and forge a long term career with many excellent career opportunities moving forward. For the Facilities Office Manager (Soft Services) role will be office based and will involve day to day facilities services. You will be responsible for ensuring the Helpdesk (3rd party) delivers excellent customer service and hit SLA's whilst the management of 3rd party contractors is a large part of the role (the likes of M&E, cleaning, security, catering, waste etc). For the Facilities Office Manager (Soft Services) you will be managing once moves and small ad-hoc projects. * Responsible for ensuring that the Helpdesk delivers high quality customer service and that agreed SLA's are met and, where possible, exceeded. * Responsible for managing service level agreements (SLAs) and Key Performance Indicators (KPIs) with contractors and external suppliers. * Responsible for ensuring that the building and all processes & procedures are up to date and comply with current legislation/regulations. Ensuring that building checks are being carried out, including fire safety and health & safety checks on a fortnightly basis. Auditing regularly. For the Facilities Office Manager (Soft Services) attitude is key - customer service is a massive part of this role and leadership and relationship building is essential. You must have experience of 3rd party contract negotiation with an element of technical knowledge (M&E, cleaning, security, catering, waste and such). You will be used to hitting SLA's and KPI's. The Facilities Office Manager (Soft Services) role is a chance to come in the world's leader in their particular field. They develop and look after their staff with excellent career opportunities. 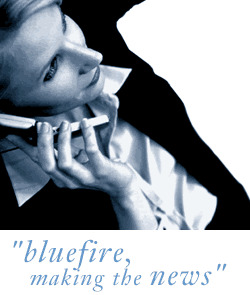 Bluefire Consulting is an equal opportunities Employment Business/Agency specialising in Consultancy recruitment on a UK wide basis.